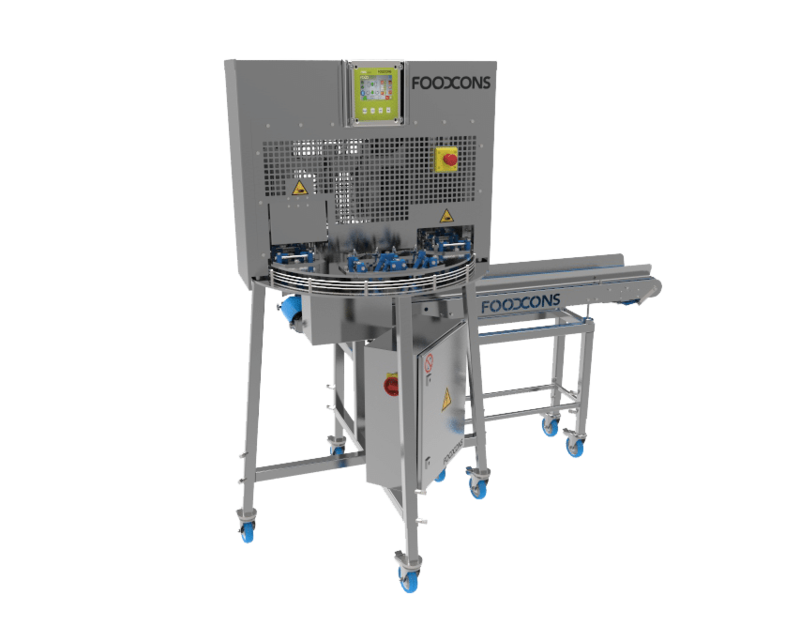 FOODCONS develops and produces high-quality and innovative slice and wedging machines for fruit and vegetable processing. The machines match different fields of application and various product characteristics in all price ranges – Put simply, machines for any purpose. FOODCONS slice and wedging cutters are suitable for tomatoes, potatoes, onions, zucchinis, eggplants, cabbage, peppers, cucumbers, celeriac and pumpkins. Cutting variations are slices, wedges, and sticks. Capacity up to 3600 pieces per hour. Perfect cutting results, reliable machines, and fast service worldwide make FOODCONS outstanding. 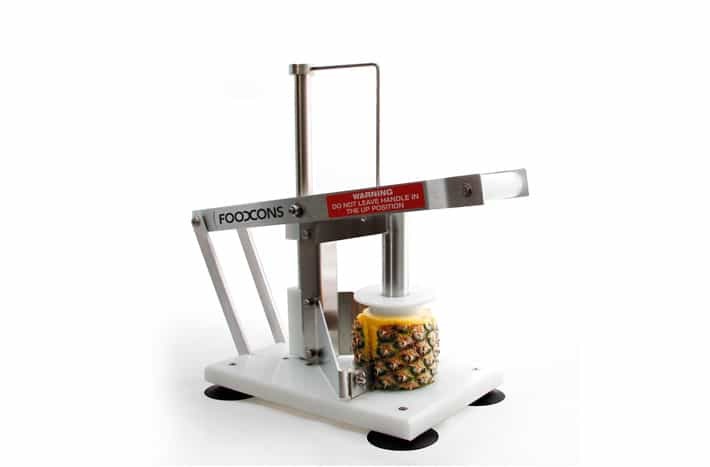 FOODCONS slice and wedging cutters are suitable for apples, kiwis, oranges, lemons, limes, and melons. FOODCONS Spiralcutter VL and VL+ are designed to provide perfect spiralcuts. The machines are suitable for carrots, courgettes, red beet, and butternut squash. Capacity up to 450 kg/h. 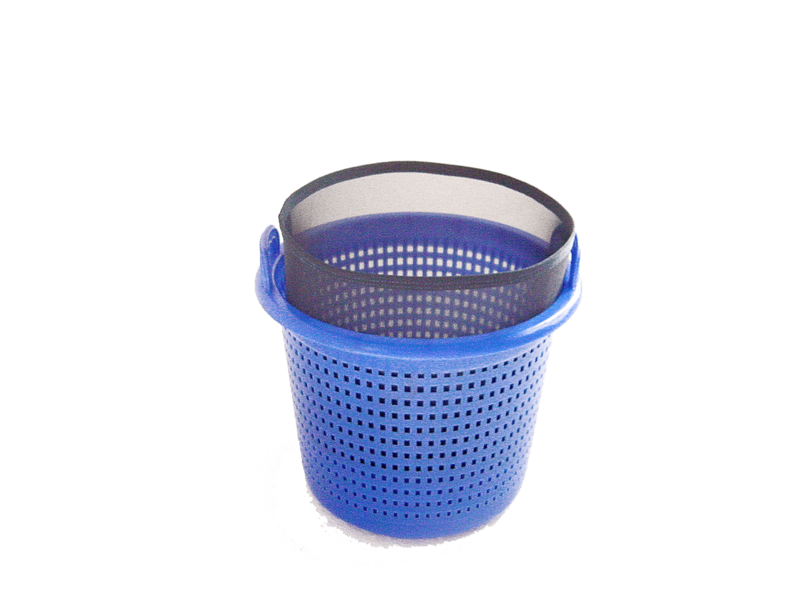 We permanently offer centrifuge baskets and basket-inserts at a low price with fast delivery. Centrifuge baskets in blue/orange and basket-inserts in blue/white. Why you should choose FOODCONS? FOODCONS convinces with ten years of experience in developing and producing fruit and vegetable slice and wedging machines. The focus is on innovative technologies combined with highest demands on the quality of the machines. 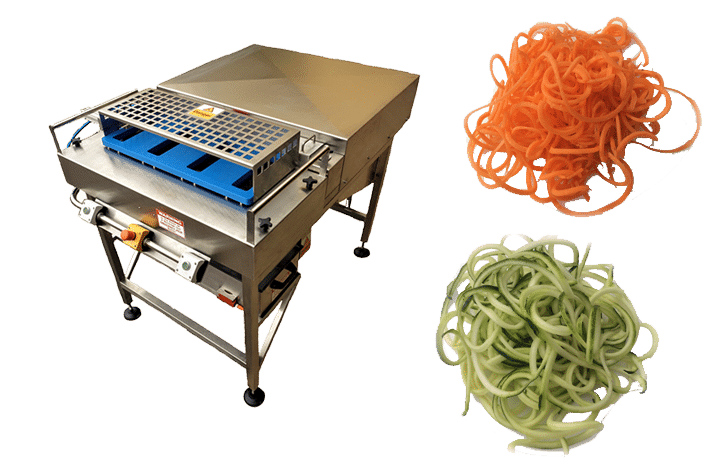 We always keep pace with the times and adapt trends in our own latest developments or in those of our partners like, for instance, the spiral cutter for cutting “vegetable spaghettis”. Obviously, all of our machines deliver perfect results in processing fruits and vegetables. The machine range goes from manual to automated machines, one for each case of application and performance. Due to this broad range of machines, FOODCONS is able to supply machines for all price ranges. The optionally available machine accessories to optimize further working steps improves the efficiency of processing. We provide our customers with FOODCONS machines for different fields of application in fruit and vegetable processing. Our machines are all-purpose machines and can be used for different sorts of fruits or vegetables. They cover various product characteristics and the cutting result is always perfect. No matter whether cutting and wedging in slices, wedges, half slices, or sticks, separating end pieces, or disposing the waste. Additionally, all of FOODCONS delivered fruit and vegetable processing machines have a CE declaration of conformity and are FDA approved. The company FOODCONS has an international network and delivers the appropriate machine for worldwide trends. Furthermore, worldwide service is our passion. When talking to us, you speak with real people and have your own contact person for all of your questions.